This rich creamy, low-carb cappuccino drink has a nice, light almond flavor and aroma that not only satisfies your senses but also delivers 15 grams of protein in every 80 calorie serving. Experience the luxurious taste of amaretto whenever the mood strikes with the easy to prepare, instant cappuccino mix..
Pour contents of packet into a large mug. Add 6 to 8 ounces of hot water and stir until dissolved. I think the vanilla cappuccino is really good. I've begun having it as an after dinner treat. I Love this stuff. This is my morning drink to wake me up and it's my breakfast at the same time instead of the Donut. I sip this and feel good because I know I am starting my day out right. I've used this product in my morning coffee in place of creamer for over a year. Its very satisfying when you know Starbucks is no longer going to be a part of your life. A stick blender works great on all the products unless they have chunks or noodles in them. In the last year I've lost 115lbs! I love the Cappuccino! It's a great start for a weight loss day. I put it in a large cup, add 1 sweet& low packet and fill it up with regular coffee. Delicious! Also the extra protein in the morning give the metabolism a boost. I drink it every morning. Of all the hot coffee type drinks, this is by far my favorite. It is VERY sweet though, so I mix it with more water than it calls for. Makes for a very large mug of hot coffee for the mornings! LOVE it. Wonderful, mixes easily when I pour Hot Coffee into the powder. Can't beat 15 grams of protein and a wonderful flavor. Thank You for starting my day off in a Fabulous way! I'm not a coffee drinker, nor a cappuccino drinker. But I have tried the package that you receive for free & to be honest with you. I have truly enjoy it. It even smell good as well as the taste. The taste was very delighting. I will be sure to be this one on my list next time around when I'm reordering my products. I love this drink, it's so good and mizes into hot water easily. It's a great way to start the day with some protein. It has totally taken the place of my regular cup of coffee. I add a cup of coffee to this mix- YUM! On the weekends, this is my breakfast. my sis and I Like the taste its a treat! Wow! Like this product. Its like having a Hot treat of an expensive hot drink! I loved this drink. It's so creamy. I have a cup every night before bed and I go right to sleep. No longer miss cream in my coffee! These are a wonderful in your morning coffee in place of cream! I like them all but amaretto is my favorite. Great on there own also! I've tried the Amaretto, Vanilla, and Regular flavored Cappuccino, and the Regular flavored Cappuccino is to die for. This beverage is so deliciously satisfying that it makes me almost regret ushering in the summer months when it gets too hot for me to drink Cappuccino. But until then, bottoms up! I make a pot of coffee about once a week and refrigerate it. I add a little little no calorie sweetener and sometimes a low calorie, flavored(hazelnut or french vanilla) coffee creamer, about 1 tbsp per cup of coffee. In the morning, I use 1 cup of iced coffee, 10 oz crushed ice and 1 packet of cappucinno. Mix in blender until smooth & thick. It is like the frozen cappuccino drinks you buy, and because it is so thick, it is much more filling. I have one every morning. It tastes great. I love the Vanilla Cappuccino and it is 99% of my order every time ... I tried the Amaretto and it's quite a bit stronger so have to have at least a 16 ounce coffee for one packet of it. Love the vanilla and drink it every single day! In the summer I use a shaker bottle and mix it with cold skim milk and it is delish!!! I absolutely love this drink so much that I look forward to snacktime. The taste is incredible! This was okay made with water but a little too sweet for me. I started making it with coffee instead and it's perfect. I like it hot and cold in the blender with coffee and ice. I will be ordering more. This hot protein drink is great! I mix it with the hot chocolate and it is yummy! I cannot drink the protein shakes because the cold messes with my stomach, but the hot ones are great! I use the cappuccino mix to make an excellent high protein frap in the mornings - EXCELLENT. I have used both milk and sugar free fortified almond milk and both are awesome. 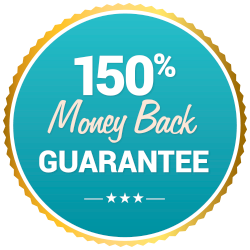 While it seems pricey, I just reordered and bought several boxes - this time taking advantage of the 20% off coupon and additional 10% off for the bulk order. But even without the discounts (free shipping, bulk, and 20%), it's still a lot cheaper that the $3-5 I pay for a frap at the various coffee chains and fast food restaurants. I enjoy a cup daily. You have to stir very well and maybe again about 1/2 way through. The flavor is great, and I add a bit more non fat instant dry milk to boost the protein and creaminess a bit. This was great mixed with a cup of coffee. This was the best protein drink I have ever had. The amaretto cappuccino is delicious and has helped me kick my expensive Starbucks Frappuccino off the shopping list. This is really a treat!! I am completely addicted to this cappuccino! It is simply the best out there. The taste is great and 15 grams of protein!! I tried the Amaretto and it is great too, but my personal preference is the regular cappuccino - such a nice treat anytime of day. I can no longer have coffee and needed to find ways to get in protein after bypass surgery. This is now my morning coffee at work and it smells so good I get asked all the time what I am drinking. Love this stuff! Delicious way to start the day....Cappuccino. I love to sit back and sip my Cappuccino with the Almond Biscotti. No one can tell I'm dieting. I am surrounded by cake and cookies and donuts but I simply never feel deprived...EVER. Now, however, they're starting to wonder what I'm doing....it's pretty obvious since I've lost 25 pounds in only 2 months. The Cappuccino and Biscotti are just 2 of my secret weapons in the war on fat. There are only a few meal replacement drinks that I've found to taste great without 'doctoring' them up, and this is one of them! I made it with hot water, it was great, creamy, sweet, and the coffee flavor wasn't overpowering. This is going to be a regular! My evening choice. Great product! Great taste! These coffee drinks are my favorite. I can add a scoop of hot cocco or more coffee depending on my mood. This is absolutely delicious hot or cold! I have them 1-2 times a day and I feel like I am cheating on my diet and having a real coffee. I have bought a lot more. Love this. The original is my fav. Taste like cappuccino to me. I absolutely love this product. I have it either as my morning coffee or add it to my morning coffee. It gives me the protein and boost I need in the morning. I particularly like the vanilla flavor as it is like have the store bought version with the extra protein needed for my post RNY lifestyle. BariWise Cappuccino - The Best! This is one of the BEST out there. 15 grams of protein...it's perfect for my Sleeve! Love these products! I usually mix this with my morning coffee. It seems to mix better it you add a bit of hot water/coffee to make a paste first then add more while stirring. Found I had to do this on with the MF cappuccino to get rid of the lumps. This is far tastier, also mixes better than MF. Favorite is the amaretto but other flavors are great too. Wouldn't mind seeing new flavors added though like hazelnut or mocha. Definitely will be purchasing again. Drink the vanilla one sometimes twice a day which depletes my stock. A little expensive to drink everyday would love to stock up if it wasn't as expensive. This is AMAZING!!!!!!!!! It also mixes well with a hot black coffee!! This product is so awesome!!!! look forward to having one of these everyday! so very filling with all the protein it has and taste so wonderfully delicious. I highly recommend this product! My favorite part of the day is when I have one of these Amaretto Cappuccinos...... some days I have to drink two....taste wonderful!!! I mix half skim milk with half water for a richer more full body taste...top off with light redi whip and let it melt on top makes a frothy cream. This flavor is my absolute favorite. tried the plain one didn't like as much. My only negative comment is that its hard to get it to all stir up wo some clumps but I wouldn't let that stop me from this. Totally addicted to this drink! Love the Amaretto Flavor too! I HAVE to have this in the AM- I don't eat breakfast, so getting in some protein makes me feel like I am "feeding my body" and I mix it with coffee and a little creamer too, and get my caffeine too. I work out of my house, and this gets me productive in the mornings! Amaretto is the ONLY flavor I buy- 6 or 8 boxes at a time! I will drive past Starbucks to get home & drink this! My new favorite! I add this mix to coffee instead of water. Love! Love! Love! I have been using he cappuccino's this summer to make my own frappucino's. They mix very well in water or coffee with no grittiness at all. I blend them with almond milk and ice and are frothy at first but that all settles down in about 1/2 an hour for my ride to work. You will notice the Amaretto flavor after you start drinking it. Very subtle and not overpowering at all. Not missing my Starbucks!!! The Amaretto Capp is amazing!!!! Don't live a day without an Amaretto Cappuccino! Use to drink the Amaretto Hot Chocolate but now prefer this one...and I'm not a coffee drinker! Love waking up to a cup of this drink! Just add small amount of hot water to stir out any lumps, then fill it up! For me the hotter the better : ) Enjoy!!! Really love the amaretto flavor, great mixed with a decaf Starbucks via at night before bed. I have this drink every morning pre workout, it tastes wonderful and it gives me just the amount of protein I need without haveing food on my stomach before my workout. This is a marvelous breakfast drink! It is filling, tasty and filled with protein. I drink it frequently for breakfast and it warms the heart too! One of the best breakfast drinks you will ever drink! I start most of my mornings with this drink. I totally recommend it. This is absolutely delicious. I will purchase again & again. One of the best breakfast drinks ever!!! Great product! Great way to begin the day! A great drink to have when starting your day. It tastes good and it is very refreshing. I also use it with ice too. I think that the cappuccino are great.My favorite is the vanilla. I also like the hot chocolate. They are great in the morning. Loved the taste of this one, I would order again. Another fave is the Cinnamon Hot Chocolate. I honestly didn't think this was going to taste good. I'm picky about coffee. I was looking for a replacement for my Mc donald's coffee addiction and I think I have found it. This tastes good hot or cold. So it doesn't necessarily need to be hot. I ordered the vanilla and added cinnamon to it. It was great and I will be ordering these again to keep me on track. This used to be a staple drink in the mornings for me. Add a little more coffee and I am set. The original and the amaretto were my favorites. But as with others here, the price has become a little more than I am willing to pay. 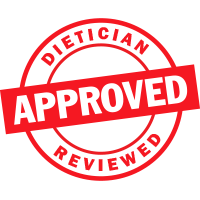 I switched to Diet Direct because Medifast was very expensive and not very palatable and I was very happy to have found this place and very satisfied purchasing my foods here. But now, I guess I will have to do without these until there is a sale so I can stock up. I am very disappointed. Is there such a thing as too sweet? This is a very, very sweet tasting product. It is so sweet that I actually use only half a package at a time and mix it with black coffee. It makes the coffee sweet without using cream and sugar. If you like very sweet drinks, you will love this! I ordered these for the first time, and I ordered 4 boxes. I;m glad I did. They are very good. I think they taste a little watery, but I pick up a sugar free cappuccino (Mocha) at Walmart and put in a teaspoon and it makes all the difference. I'm giving this a 4-star only for that reason. If they were a little thicker, I would give them 5 stars. Love the product. Upon last delivery there were only 4 envelopes in the box and I paid for 7!!!! Thank you for your feedback. We completely understand your concern regarding the Cappuccino and apologize for the trouble. You will be contacted by one of our Customer Loyalty Specialist within 24 hours for a resolution. Please know your complete satisfaction is important to us. Thank you and we appreciate your business. Didn't mix well. Flavor was ok, but was chunky and had a film over top unless it was drank quickly. Ok, so at first I really didn't like it at all but when I tried it the second time it grew on me. It isn't my favorite, but I do like it. I love this in the morning. I have found out that it mixes better when the water is not boiling, just hot and you have to keep a spoon near by to keep siring it. I would like it even better if it was sweetened by Truvia or Purvia. It would be healthier. I try to limit my intake of this because of Aspartame in it. The company should really take it out and use another product like the ones mentioned above. Yuck! The Vanilla Cappucino was not good. It had almost a gritty tecture and the flavor did not taste like Cappucino. It wasn't very good at all!! Yuck!! I mixed it up and it was lumpy and almost had the consistency of jello...not very pleasant tasting either. I had to throw the whole box away!!! After reading the reviews I was excited about a cappuccino drink to mix with my coffee. I could only stand 3 sips. It has an awful taste. Nothing like cappuccino. I will stick with the hot chocolate. It tastes great in my coffee. Hugely disappointed. They changed the packaging and apparently the formula. This went from my favorite to colored water.